In an extract from his new book, Norm Johnston explains how the book retailer failed to future-proof the business. Jack Welch once famously said: "There are only two sources of competitive advantage: the ability to learn more about our customers faster than the competition and the ability to turn that learning into action faster than the competition." Little did General Electric’s chief executive know when he first made that simple but powerful statement that his company and many others would have such a wealth of data at their fingertips. More importantly, there is not only a vast amount of data available but the other "S" factors – swift, smart, synchronous and secure – all add up to an incredibly powerful means for companies to know more about their customers. Companies can also act on that data faster than would have been imaginable when Welch was the chief executive. All aspects of marketing, from advertising to product development, can be influenced and improved to make marketing more relevant to customers and more profitable to businesses. As a consequence, according to US marketers surveyed by Adobe in 2014, big data ranks as their second-highest concern, outranking such high-profile media topics as social media and mobile. Interestingly, it was the marketers with the largest budgets who found data to be more important. And there is a good reason for this: it’s startling how many large companies, perceived as invincible, have failed to take Welch’s advice and simply disappeared. Take Borders, the chain founded in 1971 and conceived as a revolutionary new approach to book retailing. Borders and its competitor Barnes & Noble grew to dominate the industry, taking up a combined 40 per cent of the book-selling market by the 90s. Those were heady days for Borders and the managers decided to rapidly expand the company’s physical footprint, not just in the US but in markets such as the UK. Borders also jumped into the CD and DVD markets. If the people on Borders’ management team had paid more attention to the data, they might have picked up on some information that would have given them some of that gold dust of customer learning that Welch praised. For while Borders was aggressively pursuing expansion, consumers were beginning to explore cheaper and simpler ways of buying entertainment, first by purchasing online via stores such as Amazon and then by migrating to digital online platforms such as Kindle and Apple’s iTunes. It didn’t help that Borders decided in 2001 to let Amazon control its online business. As a consequence, Borders failed to build up an independent online presence until 2008, thus completely missing an opportunity to build a loyal internet customer base just as online sales boomed. 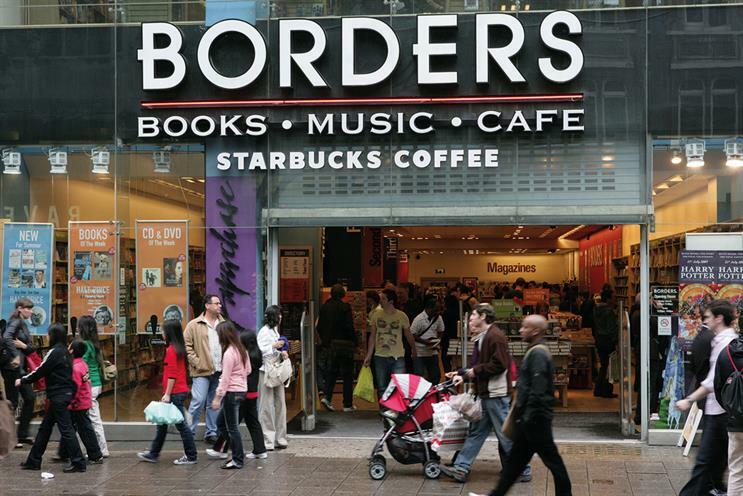 As a result, in little over ten years, Borders’ sales per square foot plummeted by nearly 34 per cent from $261 (£170) in 1997 to $173 (£113) in 2009. By February 2011, the chain had filed for bankruptcy, with $1.29 billion in debt and $1.27 billion in assets. By the end of 2011, any hopes for a resurrection were dashed when the final 31 stores across 18 US states were closed. The revolution in book retailing started by Tom and Louis Borders came to an end as other pioneering companies came along with adapted solutions for customers who had already adapted their behaviour by moving their book-purchasing preferences online. The playing field has significantly evened out and the old obstacles to new competitors have largely disappeared. Now, more than ever, you need to follow Welch’s advice. Adaptive Marketing: Leveraging Real-Time Data To Become A More Competitive And Successful Company is published by Palgrave MacMillan. Norm Johnston is the chief digital and strategy officer at Mindshare.